Summer will never be the same. 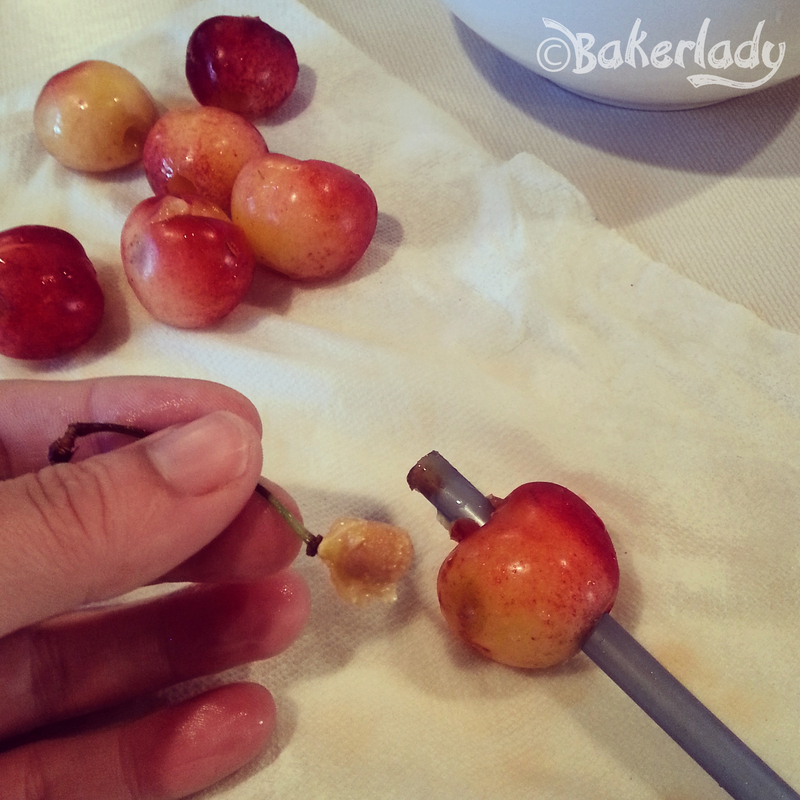 Cherry pit removal with a straw. Easy peasy. Take a straw. I used a hard plastic one from a reusable hot/cold coffee cup. Place it at the base of your cherry. Mmmmm. Succulent Rainier cherries. Then push thru the top. Boom. Done. Mind blown. Devour. Repeat. 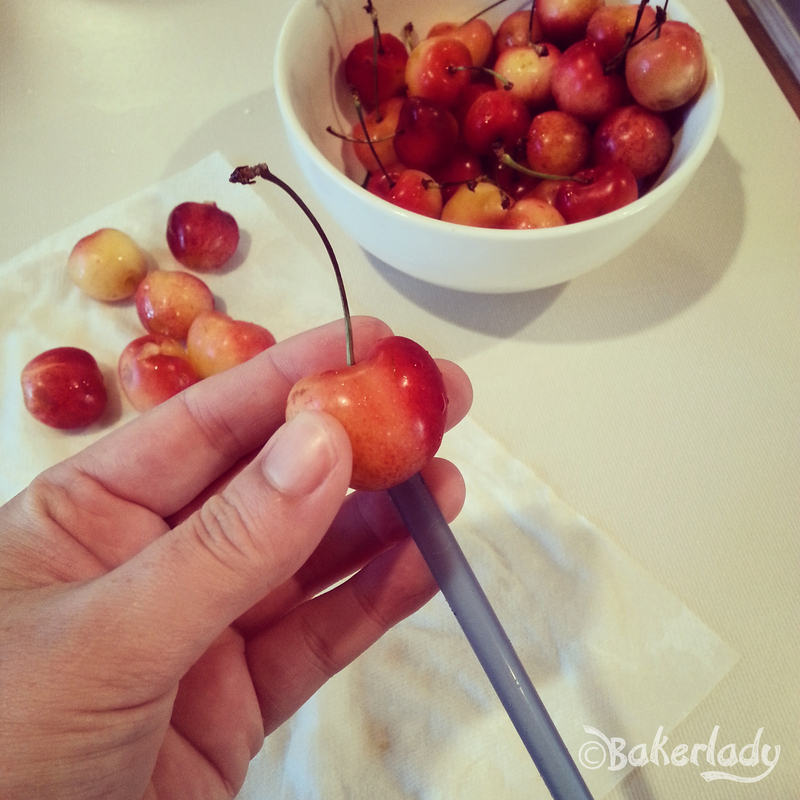 Or, do a bunch a time so you can shovel handfuls of delicious cherries into your mouth while laughing like a maniac. Not that I did that.